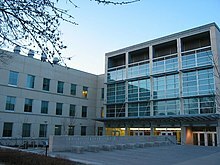 The University of Iowa (also known as the UI, or simply Iowa) is a flagship public research university in Iowa City, Iowa. Founded in 1847, Iowa is the oldest university in the state. 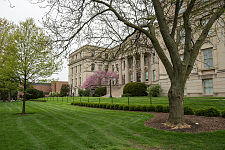 The University of Iowa is organized into eleven colleges offering more than 200 areas of study and seven professional degrees. The Iowa campus spans 1,700 acres centered along the banks of the Iowa River and includes the University of Iowa Hospitals and Clinics, named one of "America's Best Hospitals" for the 25th year in a row. The university was the original developer of the Master of Fine Arts degree and it operates the world-renowned Iowa Writers' Workshop. Iowa has very high research activity, and is a member of several research coalitions, including the prestigious Association of American Universities, the Universities Research Association, and the Committee on Institutional Cooperation. The Iowa alumni network exceeds 250,000, and the university budgeted revenues and expenses of $3.513 billion for 2015. The first faculty offered instruction at the university beginning in March 1855 to students in the Old Mechanics Building, located where Seashore Hall is now. In September 1855, there were 124 students, of whom forty-one were women. The 1856-57 catalogue listed nine departments offering ancient languages, modern languages, intellectual philosophy, moral philosophy, history, natural history, mathematics, natural philosophy, and chemistry. The first president of the university was Amos Dean. What are the academic rankings for University of Iowa? 1. number 68 for Academics. 2. number 79 for ROI (Return on Investment). 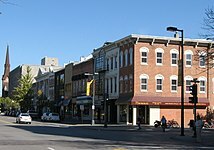 What universities are similar to University of Iowa?